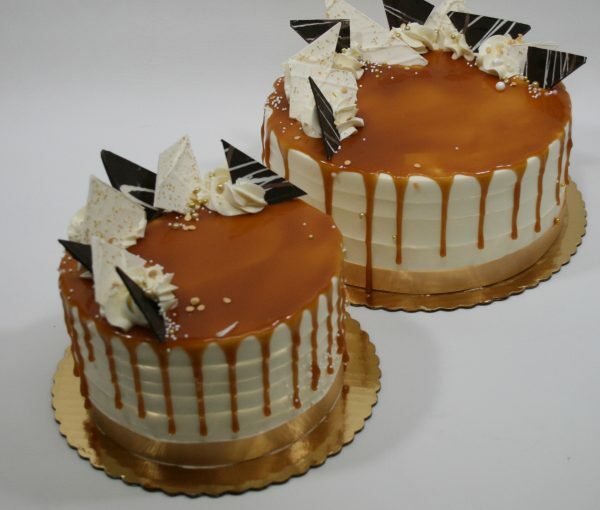 Dark chocolate cake soaked with Irish cream and layered with milk chocolate mousse. 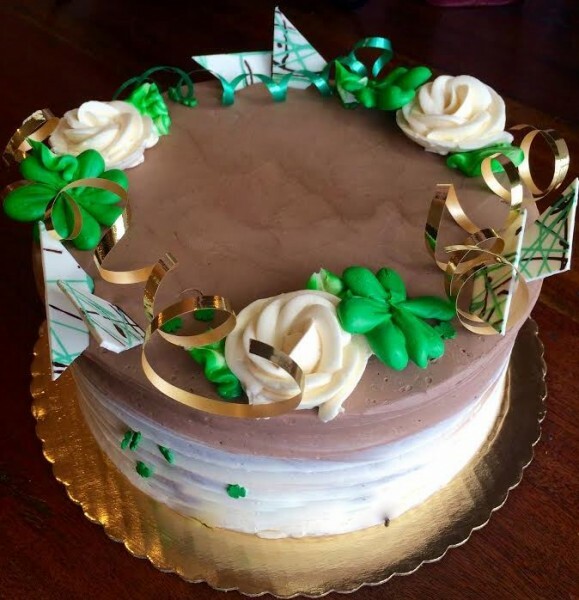 This cake traditionally comes frosted in chocolate & vanilla buttercream with buttercream shamrocks, festive chocolate adornments and curling ribbons. Shortbread cookies frosted with royal icing available in rainbows, shamrocks, beer mugs, & other spring time shapes. 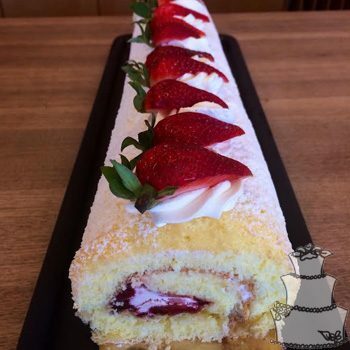 Limited supplies call to place your order! 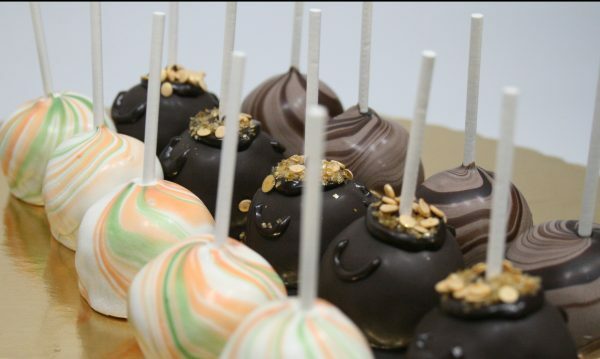 Vanilla and chocolate cake pops dipped in dark chocolate or white chocolate. Photo shows our St. Patrick’s Day decorations; marbled Irish flag colors ,pots of gold, & marbled milk chocolate!